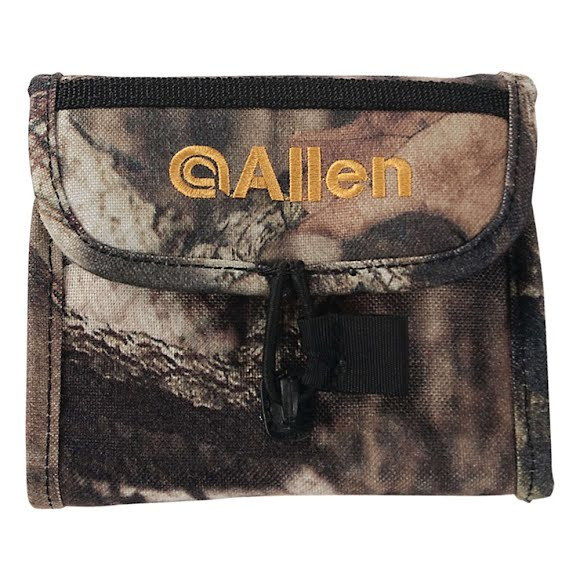 The Allen Co's Deluxe Ammo Carrier holds 10 cartridges and features Mossy Oak Break-Up Country camo, a magnetic closure with silent opening, and a secondary secure flap. A molded body gives your rifle superior protection, and individual compartments hold each cartridge independently. The Allen Co &apos;s Deluxe Ammo Carrier holds 10 cartridges and features Mossy Oak Break-Up Country camo, a magnetic closure with silent opening, and a secondary secure flap. A molded body gives your rifle superior protection, and individual compartments hold each cartridge independently.